It was announced last week that the desalination project (converting sea water into drinking water) to be undertaken in Maruthankerny would be shelved after it came to light through scientific assessment that the project would cause harm to the environment and to the livelihood of the fishermen of the area. A meeting was held on the 18th of April regarding this desalination project at the Jaffna District Secretariat. This meeting headed by the District Secretary Mr. Nagalingam Vethanayahan, was attended by representatives of the Vadamaradchi East Fishermen’s Cooperative Association, the Vadamaradchi East Development Organisation, the Vadamaradchi East University Students Forum, Member of Parliament Mr. M.A. Sumanthiran, and Northern Provincial Councillor S. Sukirthan. Dr. K. Arulanandam, Director of National Aquatic Resources Research and Development Agency (NARA) who conducted the scientific assessment on this desalination project also participated at the meeting. Dr. K. Arulanandam submitted his findings of his 1.5 years of research on this project. After his submission, the representatives of the Vadamarachi East organisations put forward their doubts regarding the project in the form of questions. Since no proper answers were given to those questions and because the research showed that the negatives were proportionately higher it was announced that this project would be shelved. This announcement was made to the media by parliamentarian Mr. M.A. Sumanthiran at the end of the said meeting. The Jaffna District Secretary was at his side when this announcement was made. Therefore, it may be considered a somewhat official announcement. But what happened afterwards? Dr. K. Arulanandam, immediately on the very next day (April 19th), held a press conference at the Jaffna Press Club and announced that there is no harm that would be caused by the planned desalination project in Maruthankerny and that especially there would be no adverse effects on the environment. But, he kept silent about the fact that the said project was shelved mainly due to his incapability to properly respond to the questions directed at him about the research findings at the meeting held the previous day. Following these two meetings with the media, there have been two kinds of issues regarding the desalination project raised amongst the public and being blown out of proportion. Firstly, it is being said that the people of Vadamaradchi East are being an obstacle to the efforts being taken to bring drinking water to the people who are suffering due to inadequate water supply. Secondly, is the view taken by those who are politically opposed to Mr. Sumanthiran who are intent on taking revenge on him by using this opportunity. It is unfortunate that neither the media, nor civil society groups, Tamil National political parties or experts in the required field are unwilling to research in depth on the initiation of this proposed desalination plant in Maruthankerny and its current status. It is being handled in a slippery manner. In such a situation, certain persons are intent on portraying the quest for justice by the people of Vadamarachy East on this issue as a sort of ‘ugly revolt’ to the majority people of the North. If one considers the issues in depth and the actual truth on this matter, one will understand the justness in the requests made by these innocent people. That would necessitate making decisions in their favour. It is a fear of this that is behind the refusal of most people to talk about this issue. This is an expression of a dominant mind-set which refuses to understand the plight of these innocent people. The desalination project was put forward by the Northern Provincial Council almost 2.5 years ago as a solution to end the water crisis in the Jaffna and Kilinochchi Districts. This desalination idea came to the forefront as a result of the objections raised by the Kilinochchi District Agricultural and other organisations to the plan to obtain drinking water from the Iranamadu tank. All of a sudden, it was announced that a desalination plant would be built in the Thalaiyadi area of Maruthankerny, Vadamaradchi East. Usually, when projects which may impact on the environment are undertaken, there should be a step by step research process which considers the pros and cons of the project and this should be submitted in report format and publicised. In proposing the project, the people of the area should be first consulted and their questions answered, doubts clarified and only after their consent is received should such a project go ahead. That is basic ethics. But, with regard to the Maruthankerny desalination project, the people of the area were unaware of it till the announcement was suddenly dropped upon them. A group of people were suddenly imposed with a project for which they were not given any pre-warning. It is only at this point of great disappointment that they prepared to protest this move. These protests were not in contravention of any moral obligations. They came to this conclusion in the fear that the desalination project was a death knell to their livelihood which almost exclusively depended on the sea. These protests were not against the efforts taken to provide for the people who are suffering due to inadequate drinking water. Instead, these protests were against the decision that is being imposed upon them with a dominating mind-set and without proper research or clarification about the project. These kinds of protests are continuously undertaken by affected communities throughout the world. It was such protests that the people of Vadamarachi East initiated almost 2.5 years ago. At that time, the intention of the Northern Provincial Council and a majority of Jaffna district parliamentarians was to somehow impose this project upon these innocent people. This is what opened the eyes of most of the people of the area. It is in such a situation that the Northern Provincial Council and other parties finally agreed to conduct scientific research on the project about an year later. The research was conducted for the last 1.5 years and it was the announcement relating to those findings that was made last week. It is only then due to the finding that the harm caused would be great the decision was announced that the project would be shelved. This writer spoke to a fisherman of the locality when this project was first proposed and the consequent controversy arose, almost two years ago. At the end of the research process Dr. Arulanandam had mentioned that wastage salt two units denser than seawater would be dumped into the sea. He mentioned that it would keep the salt density at consistently higher levels upto 20 metres outwards. He said that, during seasonal currents salt density is known to rise upto 6 units higher, so there is no issue with an increase of 2 units. At this point he was asked a question as to whether 6 units increase during seasonal currents and a consistent 2 units density in one area could be considered the same? Aquatic animals change their location and reproduce according to the seasonal currents. In such a case, if there is a consistent increase in salt density in one area would it not cause harm to these animals? These were questions raised to Dr. Arulanandam to which he gave no adequate reply. Further, neither the research nor the researcher were able to allay the fear on the part of the people that this would cause harm to their livelihood i.e. fishing. This is just one example. It is a basic requirement that when a project is planned that atleast three sites should be looked at and the pros and cons considered. But, the desalination research was only conducted in Maruthankerny. Why? This question was raised with the respective authorities but the people received no answer. A suitable area where such a project can be conducted is the sea near Keerimalai, when the issue was raised as to why there was no research done in that area the given reply was that it is not possible because it was where people conduct last rites. What is behind this upright mind-set when interacting with the affected people? What is seen in the past few days is that there is a callous thinking within some people, even the ‘intelligentsia and well educated’, that the sea is wide and huge, what harm is there in taking water from it. By expressing the idea that the sea is made of salt, and therefore when seawater is converted into drinking water and the wastage salt and chemicals is dumped back into the sea, what harm can be caused we callously disregard the questions raised by the affected innocents. Why not listen to the voices of these affected people, lend your ears to their fears and doubts atleast a little bit? After that come to your conclusions. That is the just thing to do. That is what the people of Vadamarachi East expect. Instead, accusing them of being unjust persons denying drinking water is the wrong way to approach this. It is non ethical and unjust. *The writer is an independent Journalist and Columnist. This is a translation of his Tamil column which appeared in the ‘TamilMirror’ on April 26th, 2017. The Snake That Swallows Its Own Tail ! It is unbelieveable that a Desalination project – simply a pump sucking sea water for desalination of sea water by reverse Osmosis is detrimental to the environment and to the fishermen – simply stupid logics. Desalination is working all over the world mostly in oil rich saudi arabia. So, you people are too sensitive and nothing work for you. Even the arguments written here are stupid. what does the university people do without explaining it. Desalination works all over the world because it’s done properly. Nuclear power stations also work all over the world. When it’s not done properly you see Fukushima nuclear disaster causing large scale environmental damage. Why is it hard for you to believe ? Is it because your brain stop developing frontal lobe during your adolescence ? something that should be considered, as a move of modern times – a need driven by the population. HOW COME YOU GUYS DEPEND ON ONE MAN’S OPINION. HOW ABOUT CONSULTING OTHER WORLD EXPERTS? I consider the writer and the concerned would be affected people are right. They are sensitive to the environmental issues, their environment, their livelihood and issues involved with the co-existence with the environment. The people have asked very valid, logical and relevant questions which affect their lives and livelihood. The fault is with the so called researchers, experts and the intelligentsia who have failed to address and answer the real questions of real people who are living there. Isn’t it possible to use this high content salt water for production of salt for culinary or industrial purposes? Or is it possible to lay a pipe line extending for into the sea so that this waste water can be disposed of at far enough? Failing both of which why isn’t a suitable alternative place looked for? (The burial place could be shifted elsewhere) Quite in contrast to the meeharak Sinhala people these Tamil people must be respected for being sensitive to their real problems. Let this project be undertaken as pilot project so that other projects like that could be built other areas in the country like Hambanthota. Please discuss the problems with the Asian Development Bank that finances this project. If there are serious concerns about the social and environmental effects the ADB will pull the plug. They have clear requirements that must be fulfilled before a project can be financed. I have earlier read that there was no Environmental Impact Assessment but in that case the ADB would not lend money. It is possible that the ADB has been mislead by different actors in Sri Lanka. It is a small amount of water and to my best knowledge not intended for Kili District at all. Somebody is misleading again? Until recently I thought that the Iranmadu project had been stopped. Then I found ongoing construction sites to build sumps and water tanks for the project. Again it is ADB funding. Another case of false information for the people? Contact the ADB and ask them about what is going on. I can’t just understand why a Tamil journalist in the caliber Purujoththaman Thangamayl,missed the alternative project ARUMUGAM AARU – a river for Jaffna as solution for drinking water scarcity for entire peninsula, including East Vadamaradchy based on irrigating Thpndamannaru and Elephant Pass Lagoon. This is a project that was set in motion in the late sixties and was abandoned due to the warring situation, which is hoped to desalinate the lagoons gradually through irrigating fresh water from Chundikulam spill. As has been suggested by the commentator below Desalination Processing is far too expensive for a big population, but some elements in Northern PC wants this! Irrigation based desalination take place very slowly depending on retaining the rainfall as well give room for acclimatization of lives and tsunami buffer would survive. Where as Desalination Processing impact is sudden, however low is the process. After all ADB has shown green light to revive the ARUMUGAM AARU – a river for Jaffna project. My concern here was to explain the doubts and fears of the affected people, what you have suggested is the subject matter of a separate article, a topic on which a lot has been written already. Indeed it is important that a clear picture of the Arumugam Aaru – river for Jaffna project is developed and discussed. I too will definitely contribute to that discussion. It is true that ADB is the funding agency for whatever the project that will be undertaken whether it is the Iranamadu project or the desalination plant. But, the decision maker here is who the people have a grouse with who imposed the project on them without pre warning. ADB knows this because it is aware of the protests by the Kilinochchi people against the plan to get drinking water from the Iranamadu tank. The ADB has been involved in this issue since 2002-2003 during the ceasefire period. During that time after a discussion with the agricultural organisations the LTTE had agreed to the Iranamadu project. Post war when it was proposed to take up the Iranamadu project again the Kilinochchi people/organisations were misinformed by vested persons that it would result in a lack of water for their daily use. Due to this people protested the Iranamadu project. The ADB is of the mindset that it would support whatever the project that is finally taken up. They have only informed the NPC and other interested groups tell us your decision, explain to the people and get their consent. This has not happened. Further, Vadamaradchi East people who were invited to this Jaffna meeting last week were given a pamphlet which stated that the water was for Jaffna and Kili (probably the Pachilaipalli or Poonakari areas of Kili District). My understanding is that both projects are being undertaken but I have not yet studied the documents on line. I have seen a sump and a huge water tower that apparently are part of the Iranamadu project. There are signs with the name and funding agency of the project. I agree but I repeat that the ADB is the funding agency. Without ADB nothing will be constructed. Has the ADB been provided with a real EIA etc or fiction? Who published the pamphlet and why? The claim of water to Kili District is easy to verify with the ADB. I think that the Iranamadu project is building something in Poonakari. Please contact ADB to verify the facts/fiction and write a follow up article. This is total fabricated lies of what had happened at the meeting. The meeting was chaired by Mr. Sumanthiran (MP). Unfortunately, media personals were not allowed. At the end of the meeting, when all the participants were left media personals were brought in by Mr. Sumanthiran (MP) and interview and statement was given to media by Mr. Sumanthiran (MP). Media didn’t have the moral duty to verify what Mr. Sumanthiran (MP) said from the Researchers! We guessed that the media was not allowed during the meeting, so that the truth could be twisted. It happened! The columnist Purujoththaman Thangamayl was neither at the meeting nor contacted Researchers to verify the story. I had a very much respect on the Tamil Mirror news paper, it is disgusting to realize that it become a platform for fabricated lies!. In your haste to defend the flawed comments of your researcher you havnt considered these issues. 1. If you respect Tamil Mirror then you would have known that the writer has been a weekly political columnist with an unvlemished record for the last 3 yrs and has been a journalist / columnist for more than a decade. He has also described the history of this project. 3. Please note that when the announcement was made by Mr. Sumanthiran the district secretary was right next to him. The researcher can only declare the pros and cons of the project and reply to doubts and questions. He is not the decision maker. That is the NPC, District Secretariat (which represents the central govt), the politicians and the people. 4. The Researcher does not need to be considered in this piece since the affected people and Sumanthiran have made it very clear that their questions were not adequately answered. Sumanthiran has mentioned this not only at that meeting but also at another meeting in Kilinochchi that even his questions were not answered properly. He had stated that he attended that meeting with an open mind but with doubts not being clarified it was clear that this was harmful. 5. It is hilarious that you think one cannot write about something without being there. A journalist will always have his sources. 6. Further even at the researcher’s press conference held the next day there are doubts abt his comments..just because the journalists did not ask questions there bcos they had less knowledge abt the field does not mean that those comments are perfect. The people still have these doubts. I have many doubts about these comments myself. These have been touched in this write up. 7. The response to the Keerimalai question should not have been given by the researcher. It should have been given by the person who hired the researcher. It seems clear that the researcher was hired with a certain purpose. Why was the research paper not presented to the people? Why was there only a 7 slides PowerPoint presentation? Is the report available to the public? Maybe we can see for ourselves. I suggest that you advise the affected people to use their right to information (RTI) to obtain the report and any other details including the cost and any Environmental Impact Assessment report which is a necessary. Now we have this law to protect us. With the ADB no need for RTI. Lots of documentation is on line already and more can be requested. I have not had time to study existing documentation. From what I hear from my engineer friends there is no documentation at all online about this project. I made my friends check this up. There’s talk that there were 6 feasibility studies but when asked for documentation nothing is available, all this lends credence to the suspicions of the people. Even the development being done at Iranamadu (with the support of the ADB) is to raise the height of the tank in order to store more water completely unrelated to this issue. The NPC has taken full control over this project and is projecting its clout on the affected people. Which is why I believe using RTI would be effective. None of the exemptions would apply. An EIA is absolutely necessary if the ADB is to fund this. At the moment the links don’t work but there are two ADB contacts there who should provide all documentation that they have if you make request. You may also try RTI requests to the Water Board. There is only a “tick box” form on line on the impact. Maybe I am wrong but based on what I read on line the RO plant is only a temporary solution while waiting for the Iranamadu project to finish. They continue to build sumps and water towers for the Iranamadu project while looking for somebody to build the RO plant. From what I hear the affected people have sent RTI requests to the agencies including the National Water Board. Now waiting for responses. If it is not given they will appeal. Are you aware that the Chief Minister of NPC Hon. C. Wickneswaran made a statement (on the news paper) two days prior to the so called meeting of Mr. Sumanthiran that Northern Peninsula will be provided with water from Maruthankerney? Two days after, Mr. Sumanthiran makes a statement (on the news paper) that Peninsula would not be provided with the Maruthankerney water? As you correctly said, the decision had to be made by NPC and/or District Secretary? Who is Mr. Sumanthiran represent? Provincial council or Central government? The article attributes certain statements to particular names, which are not true and defamatory? It has legal implications. Wicky is also a politician. It is the people who are are supreme. He cannot impose his wishes know them, instead he should learn to listen to and understand their concerns. It is then that he can be truly considered a leader. Here, it it seems that he is adamant on ignoring these people. He does not even want to come for a discussion. How can the people accept as final a statement by someone who refuses to even come for a discussion. Isn’t it laughable that you question Mr. Sumanthiran’s presence there..he is an MP, a representative of the people. He is doing his job. What he was elected for. As I said earlier he went in with an open mind, as an science degree holder and a lawyer he understood it’s implications. Therefore he realised it was harmful. What is wrong here? Also, do you assume that journalists have no knowledge about defamation. Isn’t it the first thing that is taught to the them. Threats will not scare anyone. Haven’t those responsible done enough of those already. People when draught they will need of water, when there is water they like prawns,What is the decision of the intellectuals? They have to explain the priority, what if there is a draught seasons in future. WHY not RAINWATER HARVESTING SYSTEM to be used after treatment. 1. Just because the CM said something does it become the law? Can he override the objections made by the affected people? Surely someone of his stature should think twice before proceeding against the people’s wishes. 2. Mr. Sumanthiran is a Member of Parliament for the Jaffna electoral district voted in by the people including the affected people. And as a representative of the people he plays a pivotal role in the District Development Committee. The district development committee is a joint body of the Province and State govt. Further, he has been involved in this issue since the beginning when the people started protesting, he participated as a representative of the people. Shows short-sightedness on your part to question his presence. Also, the District Secretary was seated right next to him. Wouldn’t he have objected if what was said was false? 3. If as you say it has legal implications I will face it if you can prove it. 4. Where are the reports? The feasibility studies? The people want to know. The people have the right to know but they need help. The Water Board and Asian Development Bank have (or should have?) all the documents. I don’t see any reason why the documents would not be disclosed based on a request. It might be a good idea to compare the documents that they have. See my earlier comment for RTI Activist. I found agreements between the ADB and NPC/Water Board. I think there is something else going on here. IF water can be provided from IRanamadu tank, there is no need of desalination. there is some powerplay from two sides. The author of the article writes “ ……….there should be a step by step research process which considers the pros and cons of the project and this should be submitted in a report format and publicised”. Has this been done. Apparently, the researcher, Dr. Arulanandam could not give an adequate reply about the research to allay the fears of the native people. In the first place, is there a need for desalination of seawater to be considered at all? According to many reports, the NE Monsoon rains replenish more than enough fresh groundwater to the entire peninsula including Vadamaradchi East. Sands in the eastern parts of the peninsula also act as water bearing medium similar to the limestone of the peninsula. Has any research been done by actual measurements to estimate the quantity of freshwater available in the peninsula including Vadamaradchi East? Salinity in wells is deceptive depending on their depths. Like in the islands around the peninsula, shallow wells may produce sufficient freshwater for normal use. All aspects have to be looked into before embarking in a very expensive project with a limited understanding of the amount and behavior of the depth of freshwater. Apparently, an Australian company called SMEC has done some work on bore holes and water analysis at different depths in Vadamaradchi East and the reports are available in the National Water Supply and Drainage Board office in Jaffna. Have any Researchers or Engineers looked into these reports. Desalinisation by reverse osmosis is a very expensive process. Mostly, petroleum producing middle-east countries can afford to have this process to produce drinking water because of their petro-dollars and their inherent shortage of water. It is important that the cost justifies the need. Desalinisation involves a recurring expenditure. Who is going to foot the bill. In NSW, Australia, a reverse osmosis desalinisation plant was installed at a cost of 2 billion dollars due to water shortage during a period. NSW Water Board could not afford run the plant continuously because of the cost. They passed on the cost of running the plant for few hours per day (just to maintain it) and passed on the cost to consumers as a fixed charge monthly. It may be that management of the fresh groundwater may be a better alternative to desalinization. De salination is carried out in several areas. the problems foreseen by the persons in the particular area are well founded.Why not seek an area that is not populated. I presume desalination is a process of distilation.The waste will be mainly salt which presumably could be sold after some processing like in hambantota. Why are we politicizing every development issue? “those who are politically opposed to Mr. Sumanthiran who are intent on taking revenge on him by using this opportunity”. “he went in with an open mind (how does the columnist know that Mr. Sumanthiran went with open mind or preset decision), as an science degree holder and a lawyer”. Are we discussing the pros and cons of desalination plant or evaluate political leadership of Mr. Sumanthiran and Mr. C. Wickeneswaran? Can anybody tell me what does it mean by “Independent Journalist”? Does it really mean anything written by Independent Journalist is inherently good or authentic or true?. Nice choice of name. Note that it was not the columnist who said wicky is a politician, it was me. I was responding to a question aimed at me. I suggest you check your eyesight. Further with regard to the columnist’s comments on Sumanthiran it was in response to specific questions the researcher raised at him in the comments as to why sumanthiran was present at the meeting. The columnist replied that he was there as a representative of the people. Now you find fault with the columnist for responding to questions directed at him. Very funny. The open mind comment was also made by me. Why do u attribute it to the columnist? That comment was made by Sumanthiran at a press conference in Kilinochchi last week and also in a twitter conversation which is public. Also, you must be one of the very few people who does not know what an independent journalist means. I see that many are indeed afraid of the truth coming out on this matter. Of course “Independent Journalist” can be defined, as anybody wish!. But I wish “Independent Journalist” shall mean “fair and balanced” reporting, free of bias, free from agenda (not pushing a one-sided agenda), dedication to accuracy and reporting all of the facts, not just bits and pieces and they shall be independent of politician – even the ones we like! 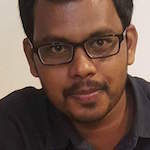 “he (Sumanthiran) went in with an open mind (how does the “JournalistForThePeople” knows that Mr. Sumanthiran went with open mind or preset decision), as an science degree holder and a lawyer”. It is unfortunate to note that most of the comments are not dealing with the crux of the problems of desalinisation. Especially the need, the method, the cost, the benefits, affordability and alternate suggestion have to be commented upon. Being a scientific and technical project, comments on scientific aspects of the project are desired. Only the comments by Kumaradharman tend to touch on these aspects. Instead, comments are directed towards politics and individuals. This may be acceptable but the above questions remain unanswered. People with scientific background may deal with the following aspects. 1. Is there a need for getting fresh water for drinking purpose in the peninsula. If so, what is the scientific basis for arriving at this decision? 2. Have all previous studies on groundwater in the peninsula have indicated a need for extra fresh water by desalinisation. 3. In Vadamaradchi East, there are large extent of non agricultural sandy area. Is there fresh groundwater in this region in sufficient quantities to be piped to deficient areas, if any. Has any work done on these aspects. 4. Will there be any proven environmentally detrimental effects in the region.